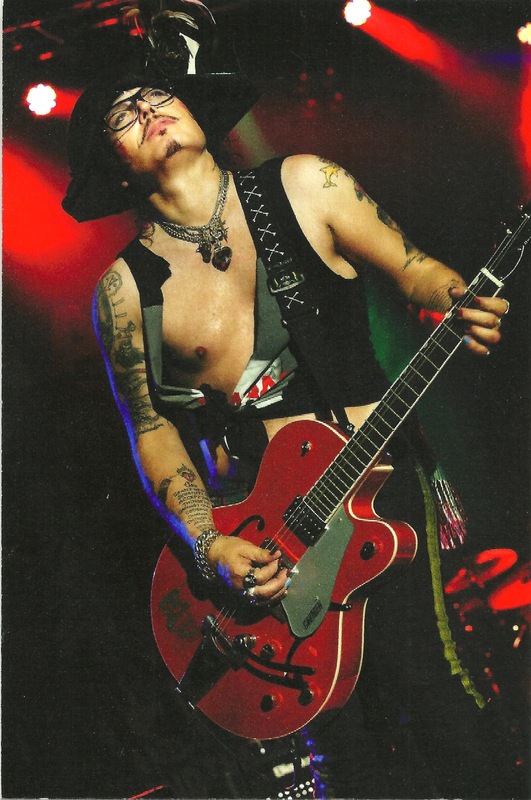 Q: I saw Adam Ant on an entertainment television show recently, but I only caught the tail end of it. Can you tell me what he’s doing? Does he have a new album coming out, or is he touring? He’s always been one of my favorite musicians. — Dale W., Atlantic City, N.J.
For a rare look into the musical genius, check back here later this week to read my full interview with Adam, where he talks about his past successes, his new album, his love of Katy Perry and Pink, and his friendship with Michael Jackson. A: The March release of Disney’s “John Carter” is indeed based on Burroughs’ Barsoom book series, which were published in various magazines as a serial from 1912 to 1943. Because of their popularity, they were then published as their own book series from 1917 to 1964. The film, however, didn’t prove to be quite so popular. It was received with mixed reviews and a dismal box-office take. The film was originally planned to be a trilogy, but that plan is on hold because of the film’s poor reception by moviegoers. “John Carter” is available on DVD and Bluray, so you can see for yourself whether it deserves a sequel. Q: What was Emily VanCamp in before she was on “Revenge”? I recognized her as soon as I saw her, but I cannot remember from what! — Iris V., Suffolk, Va.
A: The gorgeous Canadian actress has been in the business since she was 13, making her debut on Nickelodeon’s “Are You Afraid of the Dark?” But before “Revenge,” she was best known for her role on “Everwood,” where she played Amy Abbott. She also had a co-starring role from 2007-2010, playing Rebecca Harper, who initially was thought to be William Walker’s (Tom Skerritt) daughter with longtime mistress Holly Harper (Patricia Wettig). Take note that the second season of “Revenge” begins Sept. 30 on ABC on its new night and time, Sundays at 9/8c. Q: I am a die-hard “Young and the Restless” fan. I have a question about the actress who plays Katherine Chancellor in the series. I heard that she has sons who are also actors. Could it be the Baldwins? — Janet C., Battle Creek, Mich.
A: The British sci-fi/fantasy series will indeed be back for a fifth season, which will consist of 13 all-new episodes. The series began filming in Wales and in France this spring, and if all follows according to previous seasons’ trends, season five should premiere in the U.K. in December, and in the U.S. in late spring/early summer (although no official dates have been released yet).